Thank you to our past board members by selflessly serving the Adult Korean Adoptee community of Minnesota. 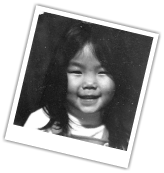 Reason for joining board: "Being new to the Twin Cities, I would like to meet other adoptees while helping to bring the adoptee community together. I want to share my experiences of living in Korea, reuniting with my birth family, learning the Korean Language & experiencing the Korean culture with others. 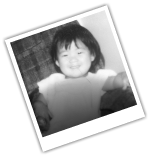 I'm thankful for my adoptee friends & the adoptee community with whom our shared experiences build strength & hope for our journeys ahead." Enjoys: Yoga, art museums, photography, films, spending time with her fiancée, traveling, and having fun with friends. Fun Fact: Kate was featured with her two adoptee friends from Sweden & the Netherlands in ELLE Magazine Korea in November 2010. The story celebrated female Korean role models in society. Reason for joining board: "Connecting with people who have our similar and unique experiences is critical as adopted individuals, and I hope to encourage these connections by serving on the board." 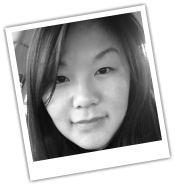 Enjoys: Coffee shops, K-dramas, K-Pop, green tea lattes, jogging, cooking Korean food, long walks around the Twin Cities, traveling, attending Korean adoptee gatherings when time and money allow, Xbox Kinect games, and playing piano. Traveling fact: Soon-Young visited the Great Wall of China, the Taj Mahal and Stonehenge over the course of one year, and has lived extensively as an adult in China and South Korea.